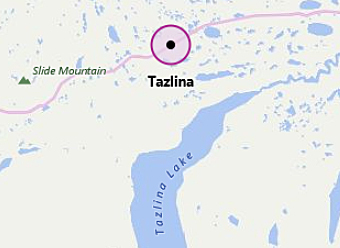 Friday, July 24, 1981—got to Tazlina at 5:00 a.m. The place is pretty littered with broken glass and bullet holes in the glass of one cabin. I felt sorry for Darrel. He was managing the lodge and alone there in that respect. This fella who had come to the lodge, got rowdy and (I don’t know the name of the guy) Darrel put him to sleep in one of the cabins and then this guy took to shooting out the windows and carrying on. When the owner comes back, it will be a mess, But Darrel did manage to get this fella under control. August 20, 1981—got gear ready for Doug and me to go caribou hunting. His dad wants Doug to go out with me to the trap cabin and hunt. He’d like to see Doug get a caribou. Prior to this, I had taken Doug out with my 20 gage shotgun and introduced him to shooting. He did real well with the shotgun; he could hit whatever he aimed at with it. He didn’t have cartridges for the rifle that he was going to use, so before we went in to hunt, I took him with me to Anchorage and got cartridges. Had a tire fail on the way into town. Chris Ronning flew me out first and the hunting looked good around my cabin, saw a moose and caribou and a few good bulls. We got to the cabin about 5 p.m. Doug is real interested in the cabin and the area out here. We got a little rain, then it rained hard after dark. We’re grateful for the cabin as opposed to camping in a tent tonight. The cabin is in fine shape, no varmint damage at all. Friday, August 21, 1981—we got up early, had a good breakfast, hunted to the south, came back for lunch and then we went north and I showed Doug an old bear den. A while later we saw a caribou at 500 yards—only for a second. Too far and no chance for a shot. We saw one nice flock of ducks on a lake. Then we came back to the cabin and Doug fixed some blueberries. Dan and Chris both flew their planes over the cabin this evening and we went out again for an evening hunt. No luck. Did some cabin chores and cleaned up around the place—covered some old sawdust piles. Doug fixed his own chocolate drinks. He does well for a boy his age. Saturday, August 22, 1981—we got a good night’s sleep, got up early, it’s a beautiful day. Ate a big breakfast and started walking up to Nye Lake. The climb from Hole Lake up to Nye Lake is steep. I showed Doug how to take deep breaths to get more oxygen into his lungs. Thus, more power in his legs. When we got there, we spotted four caribou and two legal moose bulls, one was 40+ inches at a hundred yards and another boo that I wasn’t quite able to get Doug in position to shoot. There is a gravel esker in that area that wolves use for whelping pups in the spring. I put Doug on top of one end of the esker and I went to the other end. We hope the height will help in spotting game. After some time, a nice bull caribou appears out of the brush walking in our direction. I wanted Doug to have the shot, so I slipped down the other side of the esker and over to Doug. He gets ready for the caribou but it doesn’t show up! Evidently a current of air had taken our scent to the caribou and he just disappeared into the brush. That afternoon, Doug didn’t get a chance for a shot. Then we saw another moose that was too far for shooting and then a light colored moose cow and another moose nearby—they weren’t legal. Walked back to Hole Lake, just as Chris was looking for us to see how we were doing. He over-flies people to see if they’re okay. He stopped and told us of several moose that he had seen that day. We got back about 4:00 in the afternoon and did some cabin chores. Then a medium-sized bull caribou and two others came up to the cabin and laid down 12 feet away from the back side of the cabin. I just happened to go outside and saw them. I quietly went back in the cabin and we got the guns and got out of the cabin and got Doug in position. They got up and ran so I took a shot at the running bull but missed him. Doug didn’t get a chance to shoot. Sunday, August 23, 1981—got up, ate breakfast, took off for Nye Lake—first I walked down to Hole Lake and left a note for Chris there. Then went on to Nye Lake to hunt. Saw six cows and a bull caribou soon after we got there. They were passing the spot where I wanted to hunt. We stayed at that spot a long time, then climbed a knoll—20 minutes later, a big, bull boo walked by right where we had been previously. Doug didn’t get a chance to shoot at that one either. We aren’t having very good luck. Chris was to meet us at 3:15 p.m., but he didn’t stop. Something he must have had to do. We went to another knoll at the other end of the lake and no luck there. Saw another bull go by (one horn) that good crossing. Chris flew by again. Then we started for Hole Lake and he flew over again. Doug was ready to go home by this time. I twisted my knee going down to Hole Lake. We waited there for Chris for quite some time. We saw a loon take off the lake and circle it and a hawk that was hunting and lots of fish rising in that lake. Chris didn’t show up so then on to the cabin. We were really tired tonight. It had been a beautiful day though. Then Chris and Brent Myer flew in just at dusk and dropped a smoke signal canister. They landed and parked the plane down on the lake and came up from Hole Lake to the cabin and had coffee with us. Monday, August 24, 1981—Chris had Doug and me out to Tazlina by noon and we stopped at the outlet of Old Man Lake to watch the red salmon spawn. Saw lots of ducks and swans from the air too. Chris is a really good pilot. When he came to pick us up this morning, the temperature was warming up fast. He was going to be taking off out of Hole Lake so he thought it would be better to take Doug down to Blue Lake and come back and pick me up to get out—too much weight with both of us. Doug was a little apprehensive about being at Blue Lake all alone. I told him that it wasn’t likely that a bear would be around there and we would be there shortly. Chris came back and I got in the plane. Chris started down Blue Lake and the temperature had warmed up even more—with warm air, the plane doesn’t get the lift that it needs to take off. We’re getting down there towards the end of the lake and it’s not looking good. Chris aborts the take-off. We turned around and went down to the other end of the lake and he went deeper into the lilies and turns the plane and we start down the lake again and it’s looking like we’re going to make it and the plane DOES lift off the water. Chris then lands at Blue Lake and we pick up Doug (that’s when we stopped at the outlet of the lake to watch the red salmon spawn). There’s lots of ducks and swans on Old Man Lake, really a neat area. There are a number of old cabins around there and we know three owners that have cabins there. This entry was posted in Journal Entry and tagged aborted take-off, Blue Lake, caribou hunt, Gulkana, Hole Lake, moose hunt, Nye Lake, rowdy customer, shooting, Tazlina Lodge. Bookmark the permalink.